Every so often I can only scratch my head and wonder. While digitizing a recent LP accusation. Trying to do my research on dates etc just kept hitting a wall. The LP is called Christmas America and has the ID Capitol SLAO-6666. The Christmas America title sent me to the Firestone series and this LP has several tracks identical to the Firestone Christmas America LP 1 but only a few most done by the Holiday Pops. This LP has a much lower ID number - in my thinking (but not always ) indicating it came out first. The SLAO prefix is strange to me also. Its by Capitol Special Markets which again leads me to believe it was a special release for somebody as do the words at the top of the cover saying "A special souvenir of Christmas in America". does anyone have a clue where this came from and who it was for? Or was it just a retail release.? A release date would also be nice. The original version of Christmas America (catalog #SLAO-6666) was released by Capitol Records in 1970. It was later repackaged for Firestone in 1973 (catalog #SL-6884). 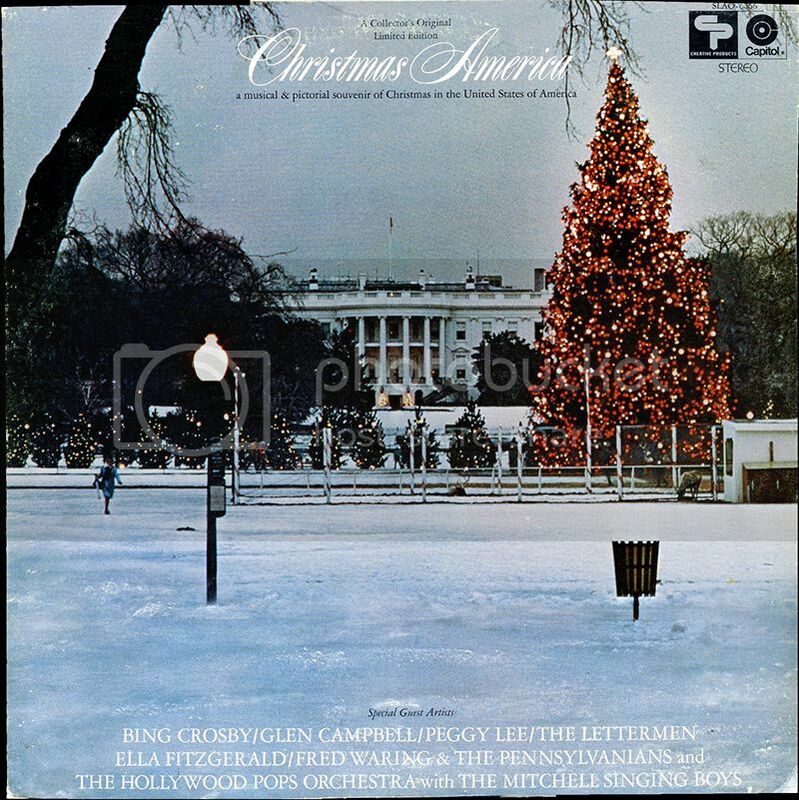 However, the subsequent Firestone release only had five songs from the original LP: "Christmas America, Part 1" (The Hollywood Pops), "Christmas America, Part 2" (The Hollywood Pops), "White Christmas" (Fred Waring and The Pennsylvanians), "The Christmas Waltz" (Peggy Lee) and "Over The River" (The Hollywood Pops). In 1974, Capitol Records created Christmas America, Album Two (catalog #SL-6950) for Firestone to sell exclusively through their stores. Thanks Chip that helps a lot, you have cleared up what were only guesses on my part about the age of this LP as well as it being somehow tied both in name and tracks to the Firestone version. Do you have any idea what the message about this being "a souvenir of Christmas in the United States of America" refers? Are those just salesman words or was it really tied to any kind of promotional event? It was just marketing on Capitol's part, Steve; the album wasn't tied to any kind of event, anniversary or purpose other than to celebrate the uniqueness of Christmas in America.